Mechassassin is a classic professional super-mercenary. Every RPG campaign needs at least one of those. 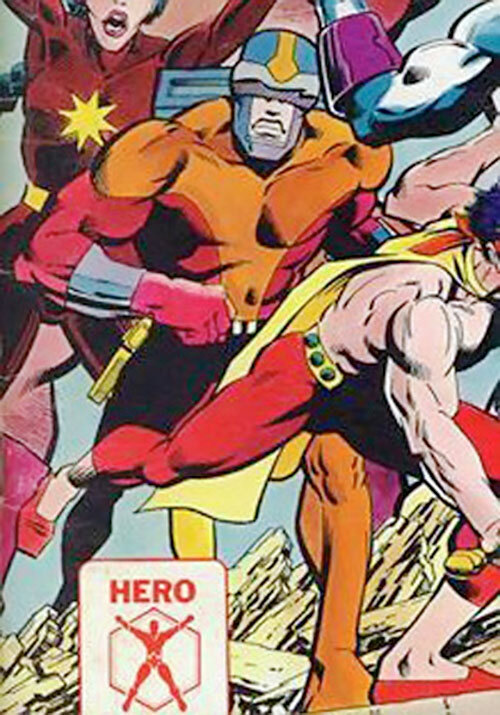 He has appeared in most versions of the Champions super-hero tabletop role-playing game. This profile is mostly based on the 5th edition version. But Mechassassin has changed very little (other than minor cosmetic changes) over the years. A powerful electric pistol with two settings (regular and extra crispy). 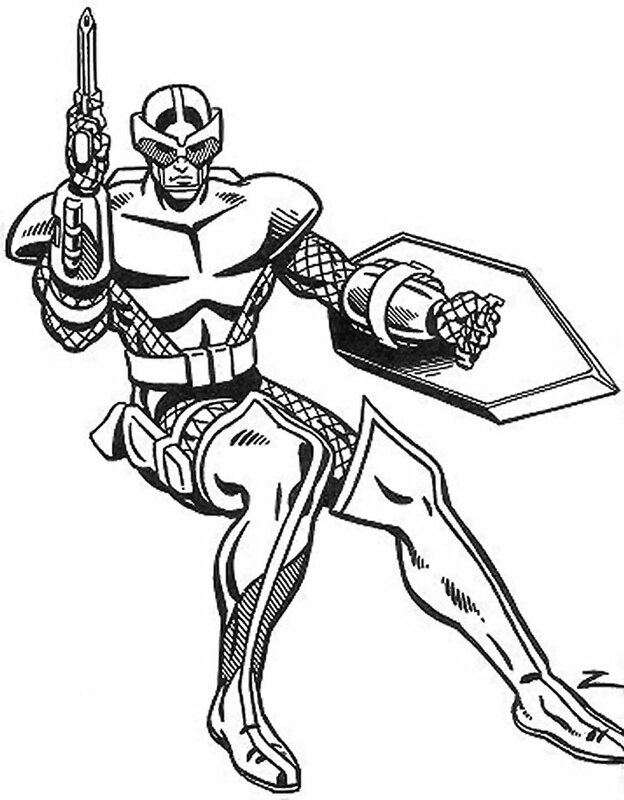 A launcher in his right gauntlet that projects strands of tanglecoil to trap opponents. A selection of grenades such as concussive energy, tranquilizer gas, and a special mind-numbing smoke (which blocks parts of the brain from most psychic detection). A modified shield with which to deflect oncoming attacks. The suit has been upgraded some over the years. For instance, it once had slight vulnerabilities to electricity and heat. But it still requires daily maintenance and parts replacement, or it soon begins to malfunction. Mechassassin’s greatest weapons are his mind and physical skill. A soldier with years of experience in just about every sort of combat imaginable, he has a high degree of tactical awareness. He never fights stupidly, underestimates his opponents (especially superpowered ones), or takes foolish risks. He usually has at least two backup plans for every mission. Plus as one standard and one alternate escape route. He approaches his goals as if they were military targets. He gathers as much intel as he can, then plans attacks for the maximum chance of scoring a kill with the least amount of risk possible. That said, he prefers a frontal assault to an ambush. Craig Vandersnoot was a major in the U.S. Army assigned as a liaison to NATO. His good looks, charming demeanor, master’s degree in political science, and take-charge attitude made him popular and respected. Before long he was put in command of a NATO research project to develop a light battlesuit for use by the military and law enforcement. The project was going well under Craig’s supervision. But his “moonlighting” came to light. He’d been working as a security consultant and troubleshooter for several organized crime groups and terrorist organizations. Vandersnoot was paid huge sums to keep these safe from the cops. He even helped plan and execute crimes, applying his tactical knowledge to make the “missions’ go as smoothly as possible. Three MP’s were sent to arrest Craig quietly, so the press wouldn’t get wind of things. He killed all three of them, snuck back into the research complex, and put on the battlesuit. He then murdered every project scientist and technician he could find, stole all the plans and specs, and trashed the lab. When he was done, he escaped from the facility with ease. Since then, Vandersnoot, operating under the codename “Mechassassin,” has established an enviable reputation in the mercenary world. Known for his skill, power, discipline, and ability to get the toughest jobs done, he’s made millions as he loots and pillages his way across the globe. He also works as a security chief and military trainer for master villains. Mechassassin wears a suit of light battlearmor that he has varied in color and minor detail over the years. 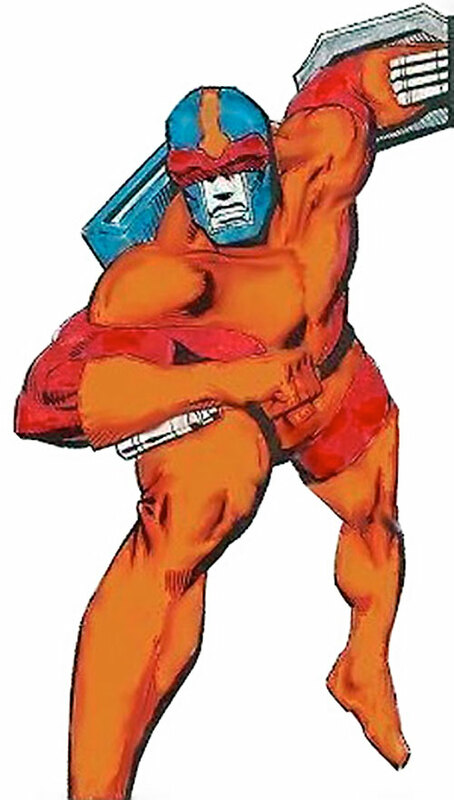 The original colors were crimson arms and thighs, steel blue helmet and backpack, dull orange chest, shoulders, gauntlets, trunks, and waders, basic black belt, and metallic gray slashers/grenade launcher and shield. The goggles/visor shined red over a blue-gray faceplate. Other designs have lost the trunks, made the belt orange, and used a quilted fireproofing cloth pattern on the arms and legs. Currently, it is styled red and gray (both non-reflective). It consists of gray knee-high boots, belt, chestplate, shoulders, gauntlet and helmet along with red legs, sides, arms and stripes upon the boots and helmet. He carries his electric pistol on his right hip in a gray holster, and a dull red metal and translucent polymer shield on his left arm. Out of the armor, Craig Vandersnoot is blond, blue-eyed, and handsome (though others have claimed to have seen him with reddish blonde hair and green eyes). He favors casual clothes, drives well-built sportscars, and tends to throw a lot of money around. Mechassassin is cool, collected, efficient, professional and deadly. His self-confidence borders on arrogance. He knows he’s the best, and that when you put him on a job, the job’s as good as done. Proud without being stupid, ruthless without being sadistic, disciplined without being a machine, he epitomizes the super-mercenary in the modern world. Like any mercenary worthy of the name, Mechassassin keeps his employers’ identities and related information confidential. He’ll go to prison or take a bullet in the head before he reveals anything he’s supposed to keep secret. Out of costume, he’s remarkably charismatic and smooth. Thus, he plays the role of wealthy jetsetter and ladies’ man perfectly. Mechassassin would certainly be a member of the League of Assassins. He could have come from any number of technological sources, but most likely would have been an operative of Lex Luthor. 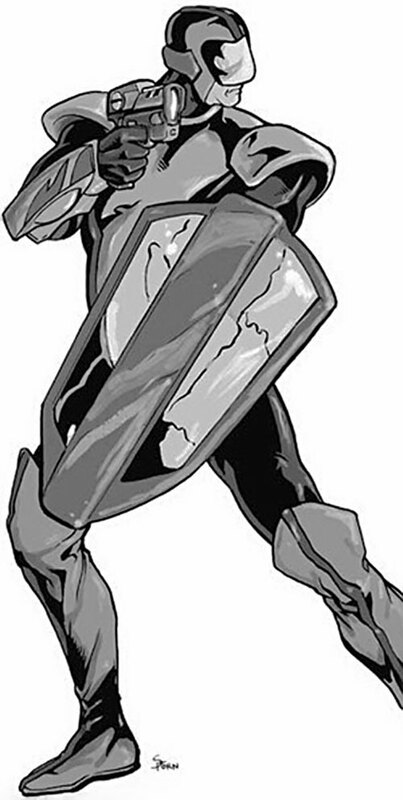 In a stretch (and some boosting of abilities), with his tech and physical skill, he could also possibly be used as a replacement for Prometheus. He might also have a professional rivalry with Deathstroke the Terminator. Area Knowledge (Europe), Attractive, Connoisseur, Iron Nerves, Language (German, English is native), Leadership, Lightning Reflexes, Omni-Connection, Scholar (Politics), Schtick (Contingency Plans). Military (Low), Espionage/Mercenary/Terrorist Organizations (High), Underworld (High). Enemy: United Nations Tribunal on International Law(UNTIL), Enemy: U.S. Army, SIA toward Greed, CIA toward Mercenary Professionalism, Secret ID. 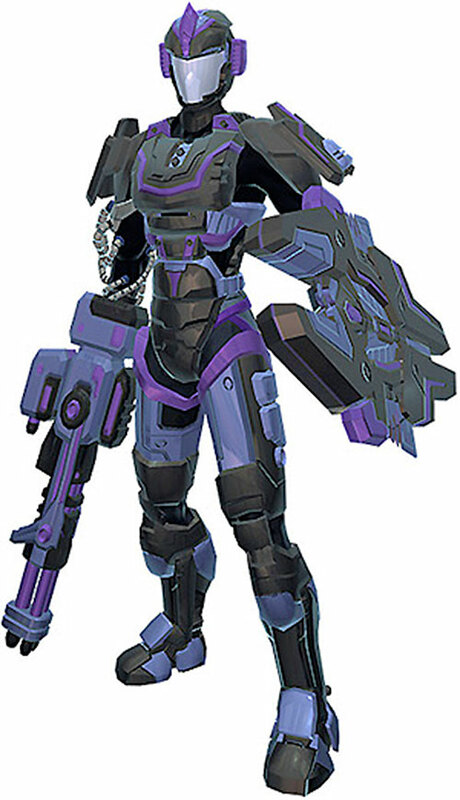 BATTLESUIT [/DEX/ 08 /STR/ 07 /BOD/ 10, R#02, Hardened Defenses, Enhanced Initiative: 04, Skin Armor: 06, Radio Communication: 10, Sealed Systems: 10, Gauntlet Slashers (Claws: 09), Polarized Nightsight Lenses (Shade: 10, Thermal Vision: 08, Ultra Vision: 08), Searchlight (Flash (Illumination only): 04), Springboots (Jumping: 04, Running: 05), Tanglecoil Launcher (Snare (Can still attack victim without damaging Snare): 06 Ammo: 08), Misc. Drawback: High Upkeep- R# will continue to increase by one each day (15 AP’s time) he fails to make a wealth check to replace parts]. MEDIUM SHIELD [BODY (Hardened Defenses) 12, EV 03 (09w/STR), Reflection/Deflection(Deflection only): 10, Recommended STR 04, Note: OV/RV bonus when using the Block Manoeuvre is 2 APs, Note: the OV bonus for the Shield Cover Manoeuvre is 2 APs]. Electric Pistol [BODY 06, Lightning: 10, Sharpness (with Lightning, Lethal, (Ammo: 03)): 06]. Concussor [Energy Blast (3AP Explosive Radius): 12, Ammo: 03]. Tranq Gas [Knockout Gas: 06, Ammo: 03]. Enhanced Obfuscation Smoke [Fog: 06, Obscure: 06, Ammo: 03, Bonus: Onscure can be Combined With and is Active Throughout Fog]. AP levels are modelled more after what I feel is the spirit of the character than being based upon any necessarily specific numerical conversion. I’ve taken a few liberties in order to make him a bit more than just his weaponry. 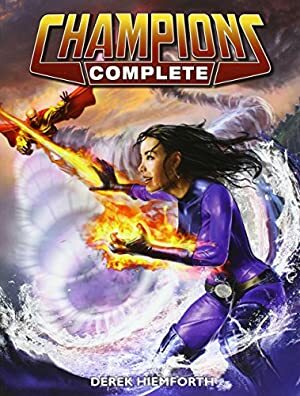 Source of Character: HERO Games’ Champions products, Enemies III, Classic Enemies, and Conquerors, Killers & Crooks specifically. Helper(s): Most descriptive text is taken from Crooks, Killers and Conquerors.